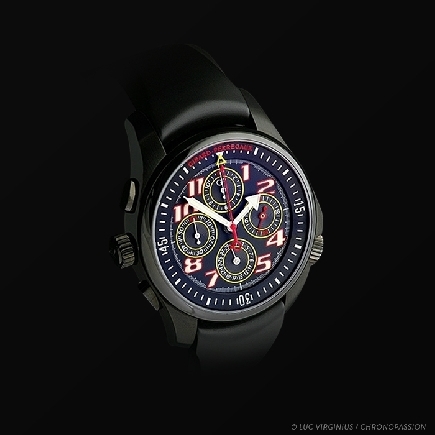 Created in 1791 by Jean-François Bautte, Girard Perregaux is a Swiss manufacturer of wristwatches. 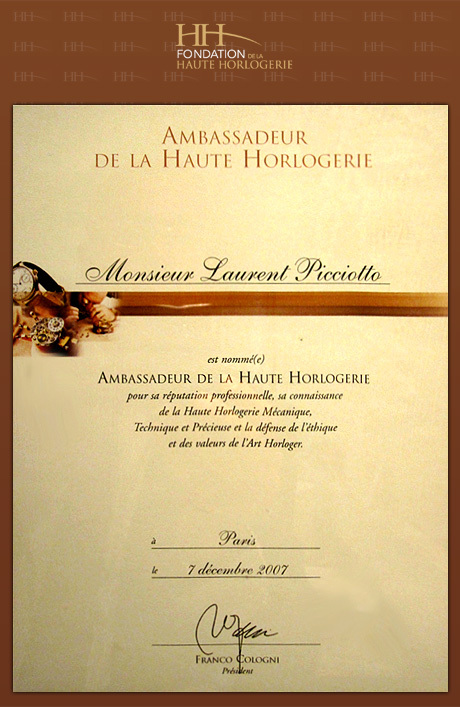 The company has received numerous awards, including the 1889 Gold Medal Award at the Universal Exhibition in Paris, a prize that has given Girard Perregaux a worldwide reputation for its pocket watches and then wristwatches. 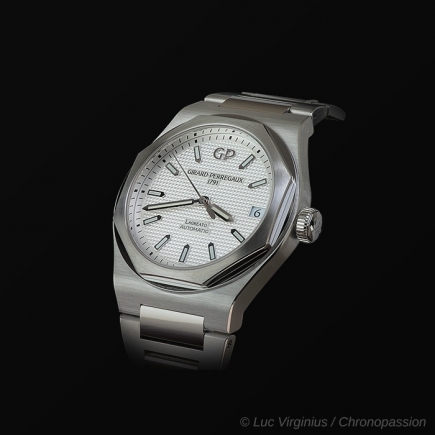 Today, each watch from the Swiss manufacturer Girard Perregaux carries this watchmaking heritage within it. Many collections of wristwatches have enriched Jean François Bautte's heritage, each bringing their own innovations, whether in terms of movement, dial, case or calibre. 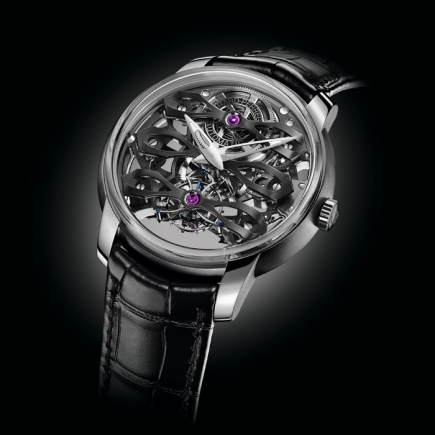 The wheel is turning but Girard Perregaux remains as a watch manufacturer a sure value of watchmaking, the company carrying the wristwatch to new levels of development having often won awards. This long history of awards has seen developments that combine design and technology, as only an integrated Swiss manufacturer is able to produce, the result of a sharp know-how inherited from Jean François Bautte. 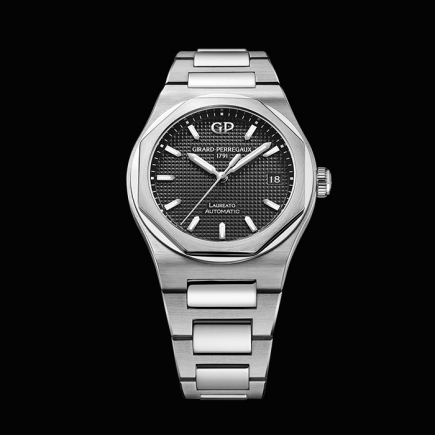 Girard Perregaux's Laureato is a perfect example of a Swiss watch that has surpassed its watchmaking frame to establish itself as a manufacturer's wristwatch whose case and dial have become immediately identifiable. 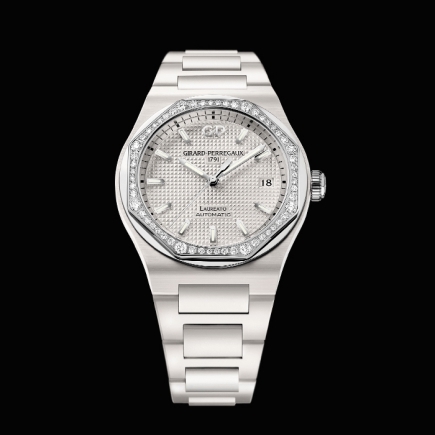 The Laureato watch has become both vintage and contemporary, winning awards for its design and calibre. 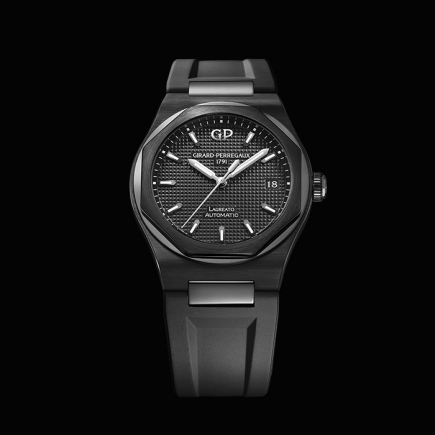 Design is an essential component of the Girard Perregaux watch. 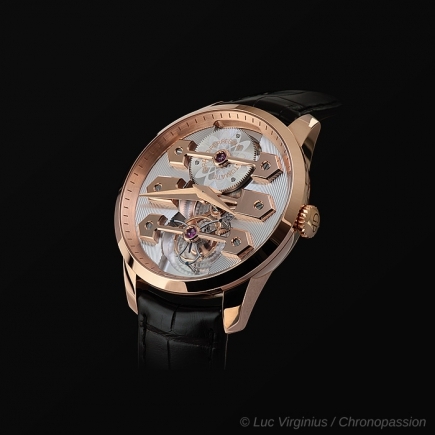 The Swiss manufacturer won a significant prize with La Esmeralda, Tourbillon sous Trois Ponts d'Or, presented in 1889 at the Universal Exhibition in Paris and awarded a gold medal, the ultimate prize for this type of event. 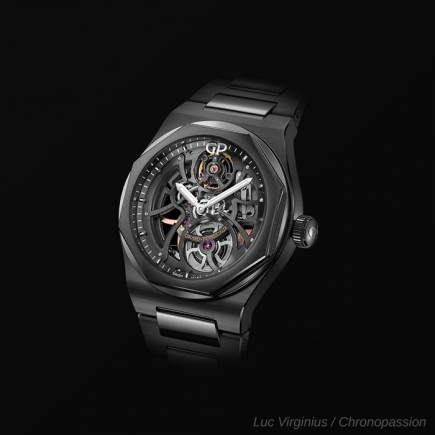 The company has accumulated many others for its watchmaking talent as well as for the design, applied to the bracelet, case or movement - the tourbillon under three bridges being none other than a very specific design applied to the calibre of this Swiss manufactured wristwatch. 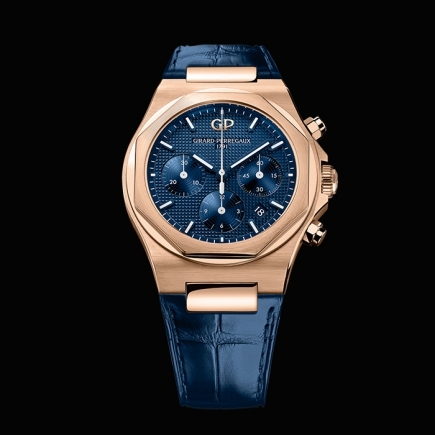 Today, Jean François Bautte's heritage is expressed in Girard Perregaux's collection of wristwatches such as the Laureato but also the Cat's Eye, a Swiss manufacturer watch whose dial and case adopt a stretched silhouette that is quite unique in watch design. 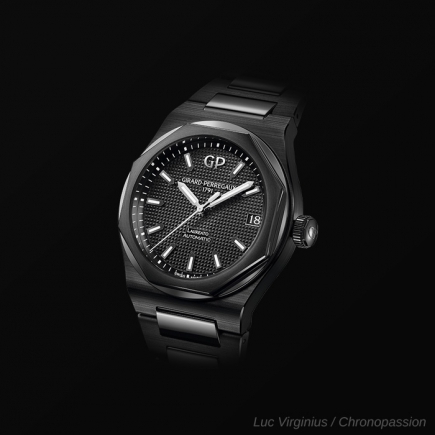 The same was already true for the case and the half-timbered bezel of the Laureato, which had become the flagship of Girard Perregaux in Switzerland and around the world. 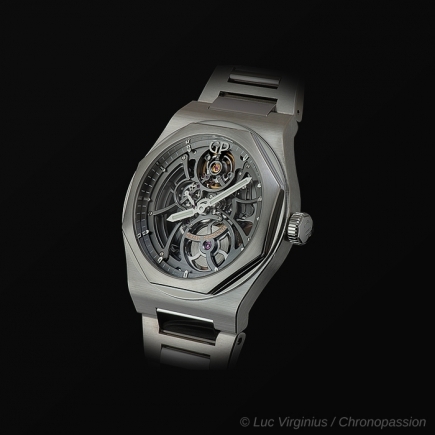 The manufactory has deployed its famous movement architecture known as "under three bridges", inherited from its tourbillon model. 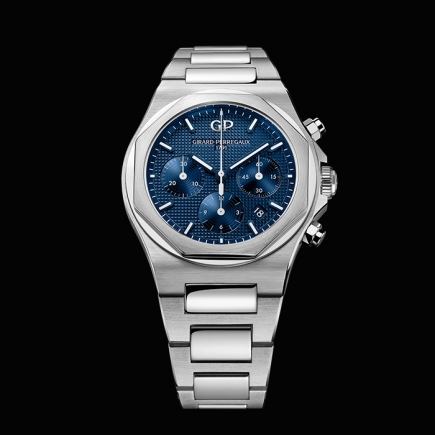 This long history of the Laureato is also marked by three-handed chronograph models, all made in Switzerland at the Girard Perregaux factory in La Chaux de Fond. 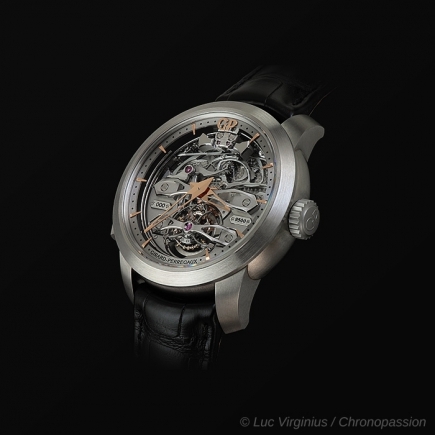 Among its most famous watch developments, Girard Perregaux has also made a significant contribution to the development of the first quartz calibre. 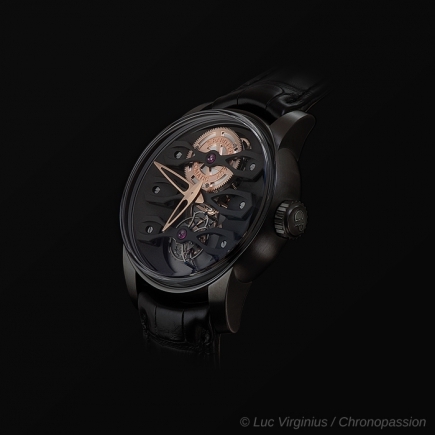 Initially, this calibre completed an offer of wristwatches from a Swiss manufacturer, the traditional watchmaker's watch, before this electric calibre became part of the vast adoption movement that we know today and which went beyond the Girard Perregaux brand. This, at the cost of many developments of a calibre that was once a pioneer, nevertheless laid the foundations for a quartz watch movement. The manufactory continues, under its dials, within a case that would today be vintage, to produce its own quartz calibre, a manufactory dedicated to a Swiss wristwatch with a beautiful watchmaking movement, perpetuating Jean-François Bautte's spirit of innovation. The Laureato did nothing else with its bracelet integrated in its case, a bold design that the company has worn and which is now widely used by every Swiss watchmaking company. 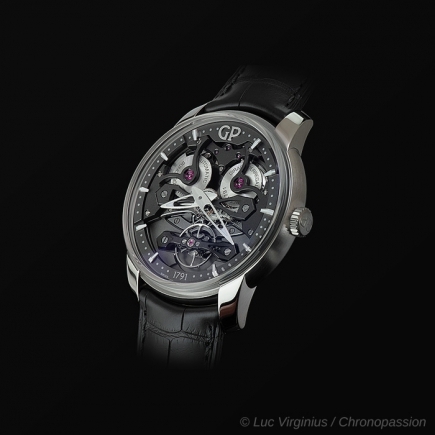 Chronopassion is an AUTHORIZED RETAILER of GIRARD PERREGAUX since 1991.